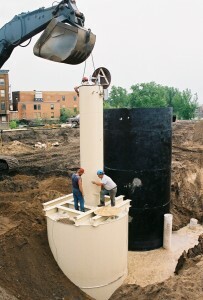 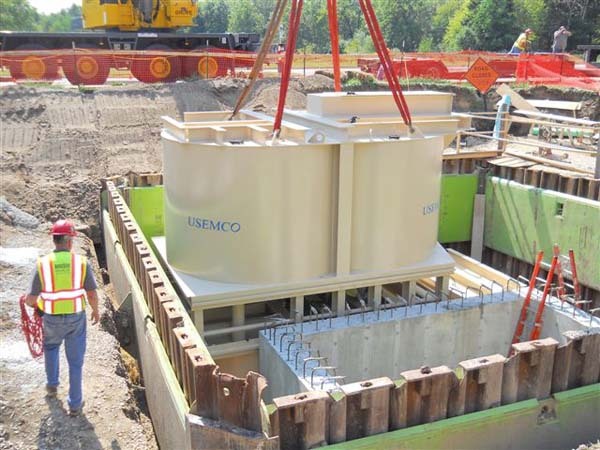 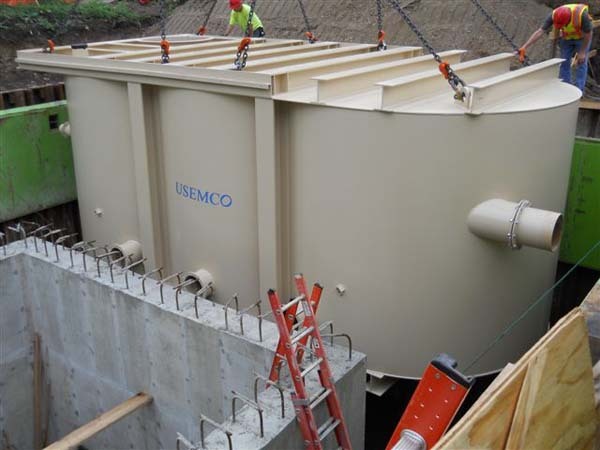 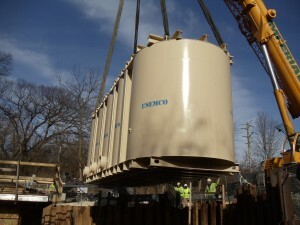 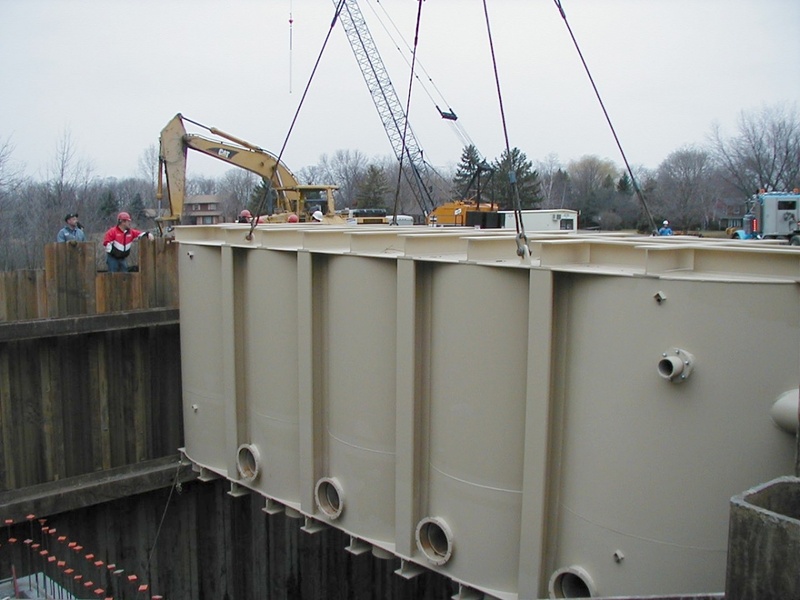 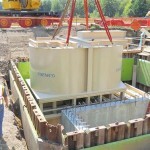 USEMCO Flooded Suction Below grade pump stations are designed for continuous human occupancy and are not classified as a confined space for routine entry. 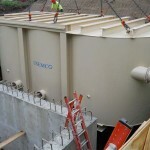 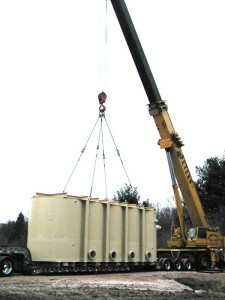 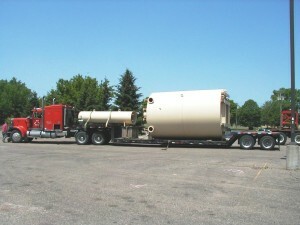 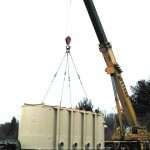 Prepackaged Steel Flooded Suction Sewage Pumping Station are Custom Designed to your unique system design. 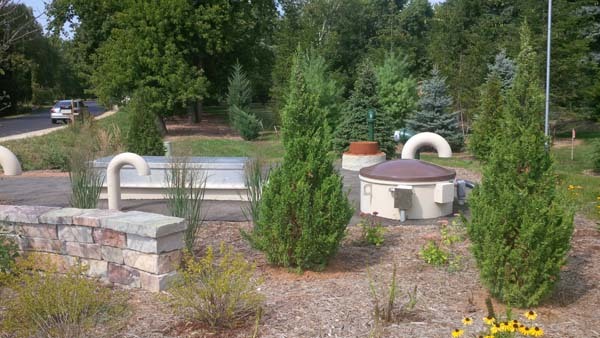 The 8-14 foot diameter dry pit flooded suction wastewater pumping stations are designed for duplex and triplex pump configurations, continuous human occupancy and provide the operator with a clean sheltered environment. 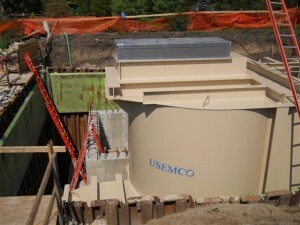 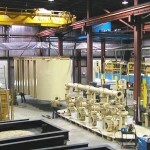 USEMCO design options include multi level work areas, cross over platforms and equipment service tubes. The Peanut Flooded Suction Sewage Pumping Stations are completely factory assembled, tested and delivered to the site location ready for installation. 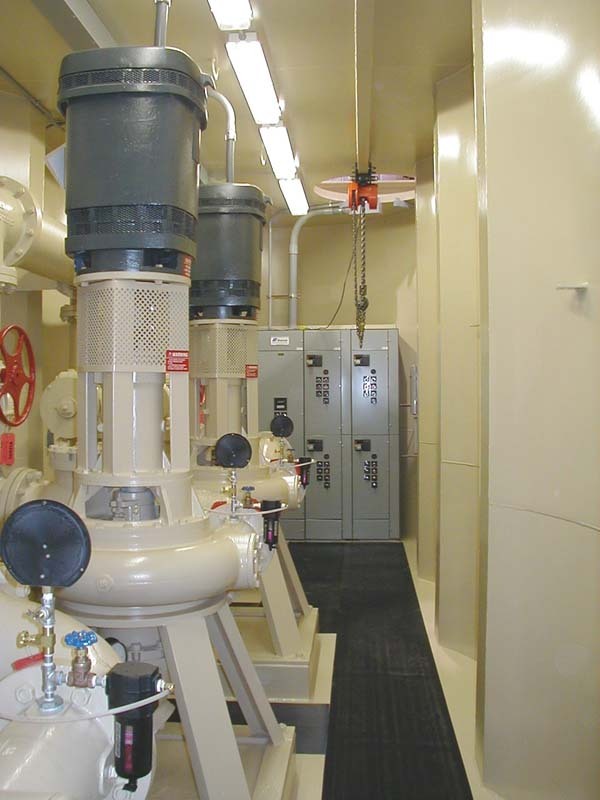 Two story stations allow for ground level entry using a commercial grade stairway. 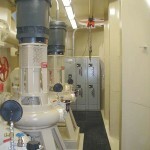 The first level is the control room and the second level is the pump room. 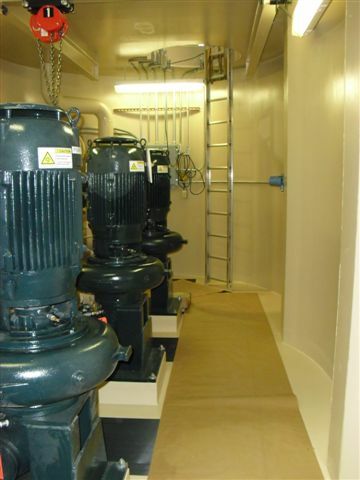 The standard equipment includes pumps, controls, lights, dehumidifier, heater, blower, sump pump, aluminum ladder, and ceiling mounted lifting eyes, The entrance tube cover features an automatic extendable ladder and a positive lock open device. 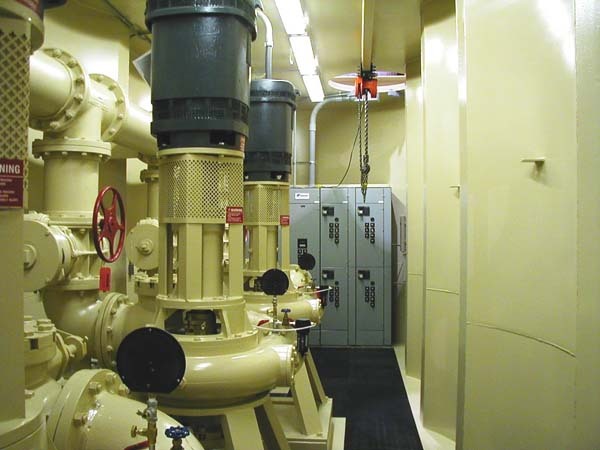 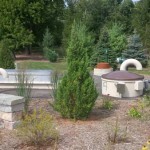 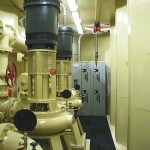 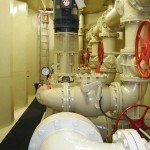 Typical sewage pump choices are built together, flex-coupled, or horizontal V-Belt drive. 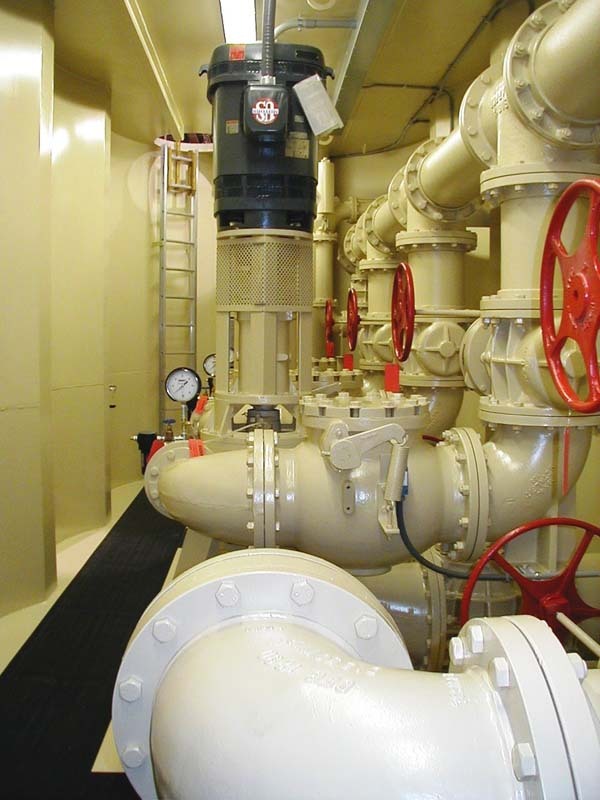 Electrical controls may be in the station or above ground, utilizing variable speed drives or a constant speed controller with SCADA capabilities for both. 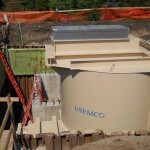 Cathodic protection choices include a sacrificial galvanic system with magnesium anodes or an impressed current system. 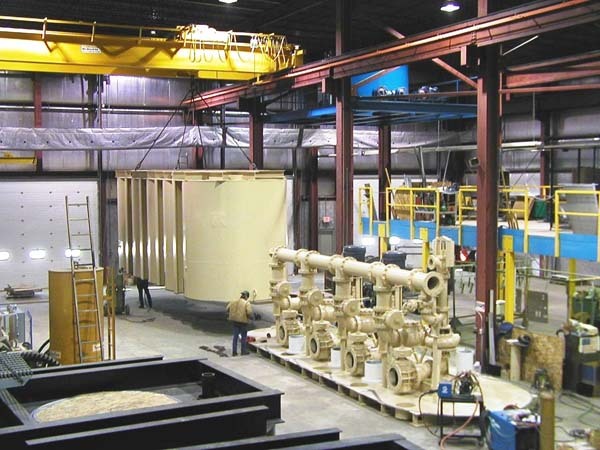 Popular options are ANSI designed man lifts that meet permit standards in all 50 states, additional tube for equipment removal, monorail hoists or bridge cranes.